Ukraine: Philipp Lahm, German Team Captain Calls for Better Human and Animal Rights – Platini (UEFA President) Replies; “I do not care what Lahm says – I am doing football”. 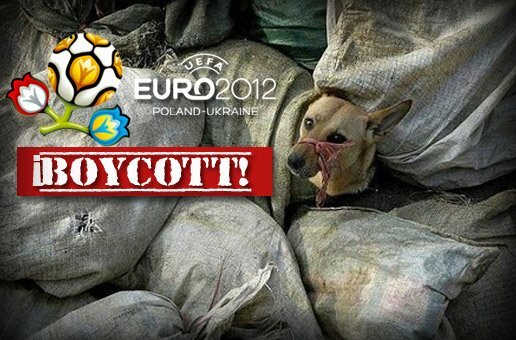 BOYCOTT EURO 2012 if this is Platini’s attitude. Dog killings in the Ukraine do not stop. The captain of the German national team, Philipp Lahm, has sharply critisised the UEFA for ignoring the entire situation in the Ukraine – human rights, animal welfare, etc. – and has demanded the UEFA finally take a stand. 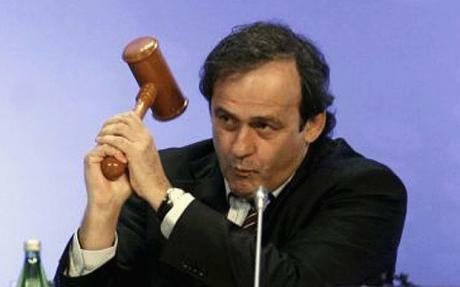 Platini – I do not care what Lahm says – I am doing football – picture: Telegraph. Here’s the first link, with an ugly video of a poisoned dog dying in the arms of an activist. This is the longer version of the video: the dog, healthy only 5 mins. earlier; has been given an “antidote” against the poison; but they say once the cramps have started the chance for survival are slim. 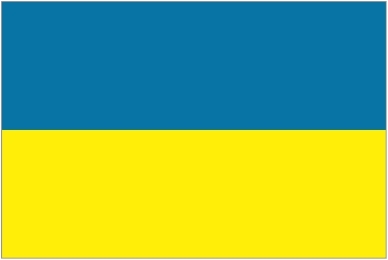 30 dogs poisoned within a week at Chernovci – Ukraine-26.04.2012. The lady shown on the second video at 6:30 min has herself lost 3 of her own dogs; one, still warm, lies in the plastic bag.